Learning is fun for any age. 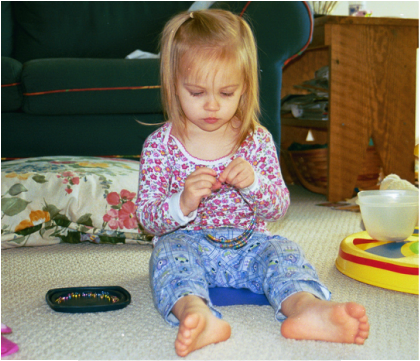 ...a home where learning how to make basic beaded jewelry starts at the beginning. Find the basic, simple, easy information to help get you started beading. bead-ginning and helping you along the way as you build and grow in your knowledge of how to make beaded jewelry. All of this and more will be covered. with one person in mind, you, the beginner. lips that speak knowledge are a rare jewel. I have been sharing my passion for making basic beaded jewelry for over 10 years now. I share my story here to let you know that you are not alone in your journey learning 'how to make basic strung beaded jewelry'. 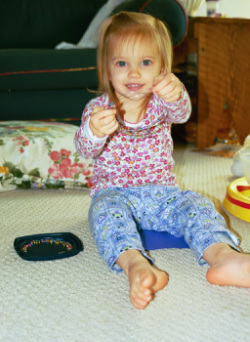 I stumbled into the beading world partly on purpose, partly by accident in 2001 when my second child was on the way. I knew instantly that I was beginning a new journey but I had no idea where it was to take me. I quickly fell in love with this easy and affordable hobby of making jewelry. When I began this process of learning about beaded jewelry there was no one teaching in my area. I became frustrated, but I was also too determined to be discouraged and I forged ahead. Once I learned the basic beading techniques I immediately connected the dots and decided there had to be others that were experiencing the same frustrations as I was. I knew right then what my next step was...to teach what I had learned. ‘The Basics to Beading’ classes were born. I have been instructing and unveiling the secrets of how to make basic beaded jewelry for over 10 years in a variety of venues and settings, fine tuning my format and instructions and introducing men, women and children (including my own) into the world of beading. My vision for 'Bead At Home' is to create an information community and network focused strictly on the beginner. By keeping it simple, step by step anyone that wants to learn this easy process can. I feel it's important to lay the foundation by first understanding the proper tools, techniques, terminology and tips on the basics of making beaded jewelry. Once this solid foundation is in place then your inner creations and designs will grow and you can then decide what direction you want to take it. I didn't see anyone else doing the ground work so 'Bead At Home' was born. It's continually a work in progress. My other mission is to provide a safe place of connecting with other beading buddies. I love hearing from my visitors and new beading friends so feel free to leave comments and contribute as you feel lead. Make yourself at home. I will be featuring other artist to help inspire you in your journey of exploring the type of beading you will venture into. Come along and join the journey with me. I hope you enjoy your time here at 'Bead At Home' and decide to visit with me often. If you should need to contact me feel free to. I do my best to respond within 48 -72 working hours, but being a busy mom it may take just a bit so be patient with me. I'll get back with you. Now start your journey to 'catching the beading bug' and join the conversation. Everyday brings a chance to learn something new.